At the RESI Conference in September, LSN hosted a panel of family office investors that attracted a standing-room-only crowd and received excellent reviews. 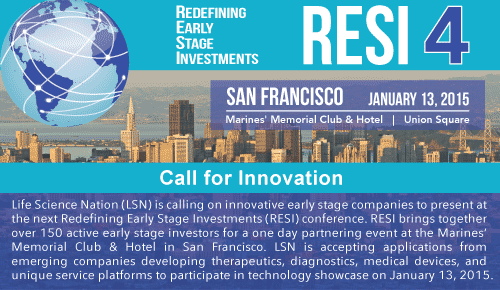 Given the success of that session, LSN is pleased to announce the first panel for RESI 4 San Francisco, January 13, 2015: Family Offices Investing in Early Stage Medtech. 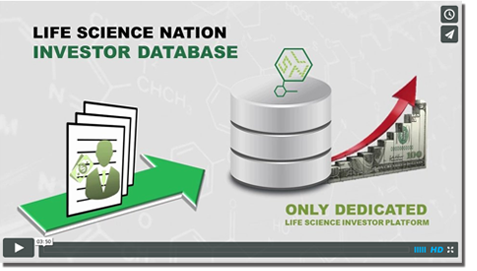 This will run simultaneously with Family Offices Investing in Early Stage Therapeutics, the details of which will be announced at a later date. In recent years, family offices and private-wealth investors have become an increasingly important pool of capital for fundraising entrepreneurs in the life science space. Unlike angels or high-net-worth individuals who generally have up to $100 million in capital and opportunistic investment mandates, family offices and private-wealth groups represent families and individuals who have $100 million to $1 billion or more in total assets and who use a more institutional investment approach. The amount of capital that these groups manage enables them to have a dedicated staff for screening, due diligence, deal selection, and portfolio management. However, often motivated by more than only financial returns, many family offices have taken an interest in the potential social impact that investments in the life science sector can bring. This panel spotlights family offices— One of the new categories of investor that has entered the early stage arena vacated by VC. What motivates family offices to invest in the space? Why do they invest directly? How are family offices found? How are deals generally structured, and how do the terms of family offices differ from the terms of other investor classes? Panelists will answer these questions as well as discuss how an entrepreneur can get in touch with these investors and the information they look for in the initial correspondence. What—in addition to capital—can these groups bring to the table for an early stage company? Find out at RESI San Francisco, January 13, 2015, at the Marines’ Memorial Club and Hotel.